In 1947 the North Carolina General Assembly authorized the sum of one million dollars to acquire works of art for a new State Museum, marking the first time a state had used public funds to buy art. Since then, the North Carolina Museum of Art (NCMA) has greatly expanded both its collections, which include European and American painting, antiquities, tribal arts, modern art and sculpture and much more, and its facilities. NCMA is now housed in two large buildings (one housing the permanent collections, cafe and gift shop and one housing temporary exhibits, workshops and meeting spaces) on a 164 acre Museum Park adorned with monumental works of art. 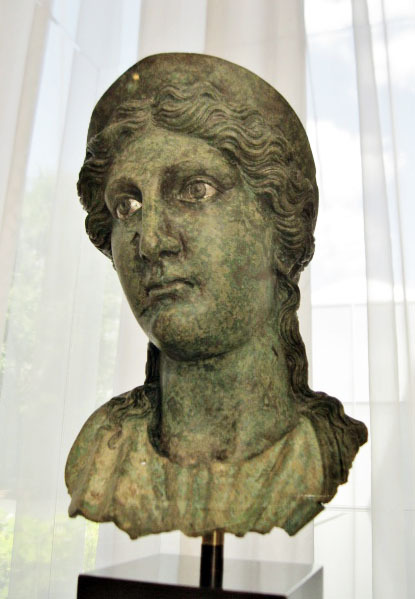 NCMA’s antiquities collections include Egyptian art in all materials and in all sizes from the Predynastic to Ptolemaic periods, Greek, Villanovan and Etruscan ceramics, Cypriot pottery and sculpture, Roman sculpture in marble and bronze and a good selection of Roman glass. These are arranged in two large galleries and a portion of the central space of the building housing the permanent collections. 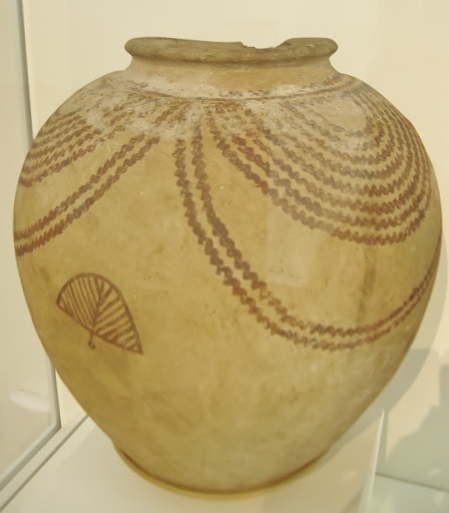 Egyptian Predynastic decorated jar, Naqada II Period, 3,500-3150 BC, marl clay with red paint. 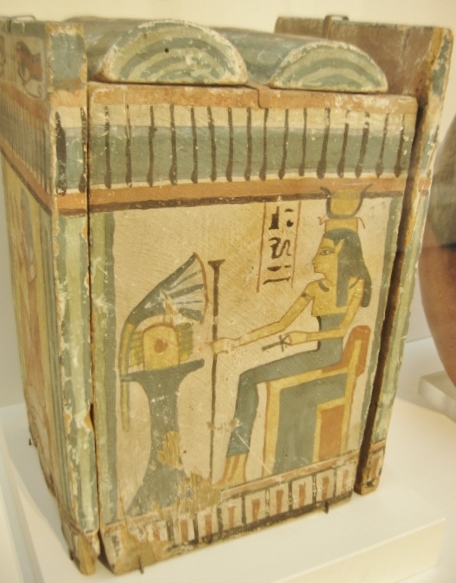 Shabti Box, Thebes, New Kingdom, Dynasty 19-20, 1295-1069 BC, wood with gesso and paint. 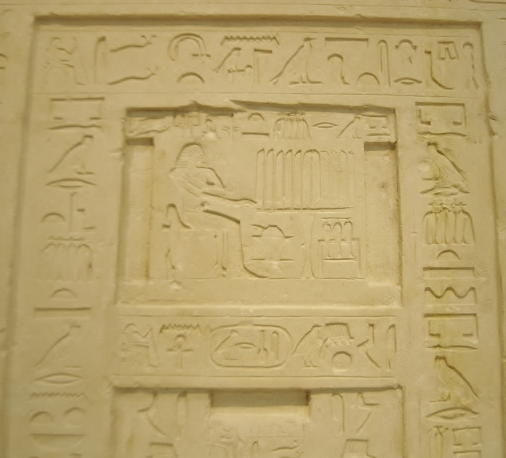 Egyptian False door from the tomb of Ni-Ankh-Snefru, detail, possibly from Saqqara, Old Kingdom, Dynasty 6, 2321-2278 BC, limestone with traces of paint. 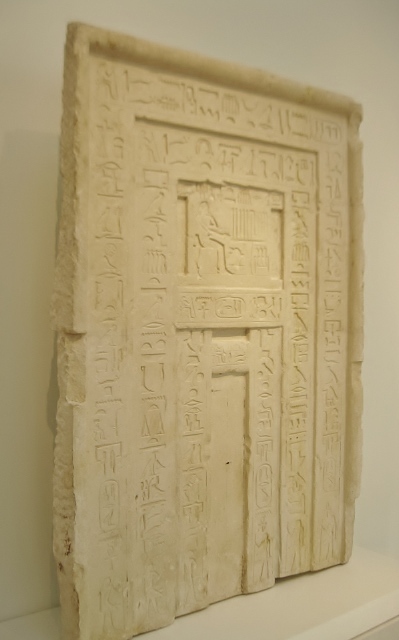 Egyptian False door from the tomb of Ni-Ankh-Snefru, possibly from Saqqara, Old Kingdom, Dynasty 6, 2321-2278 BC, limestone with traces of paint. 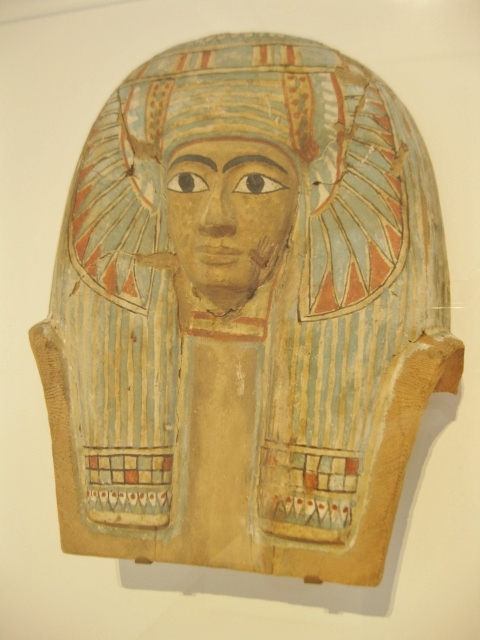 Face mask from an Egyptian wood coffin lid, Third Intermediate Period, Dynasty 22, 945-715 BC, wood with gesso and paint. 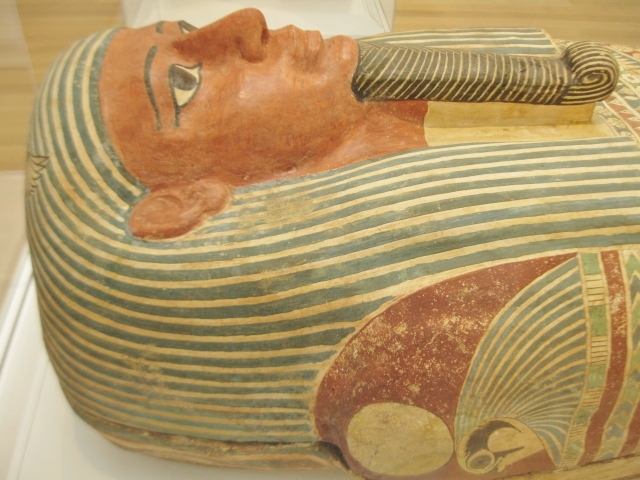 Detail from the coffin of Amunred, Egyptian, Third Intermediate to Late Period, 715-525 BC, wood with gesso and paint. Note the Falcon of Horus on the shoulder. 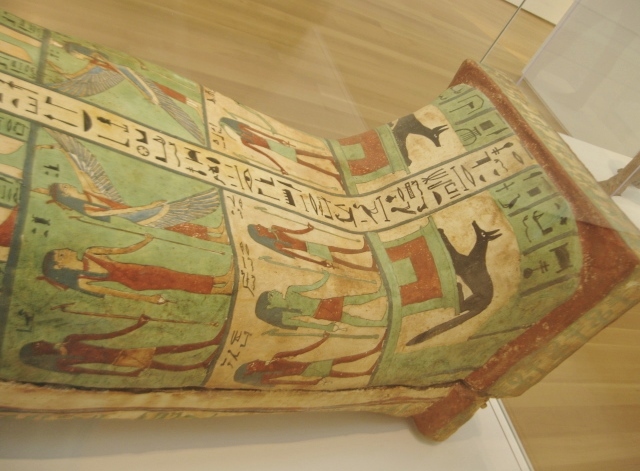 Detail from the lower part of the coffin of Amunred. Facing representation of the Jackal of Anubis guard the feet, below processions of female and male deities. 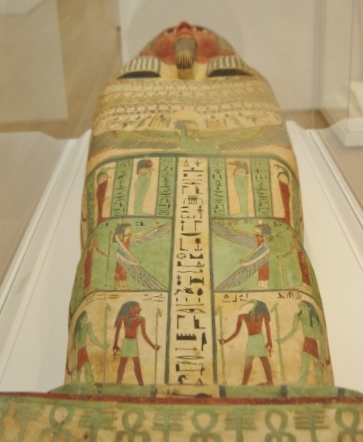 The coffin of Amunred, showing the central panel of inscriptions and the figure of Maat, goddess of truth and justice, on the chest. 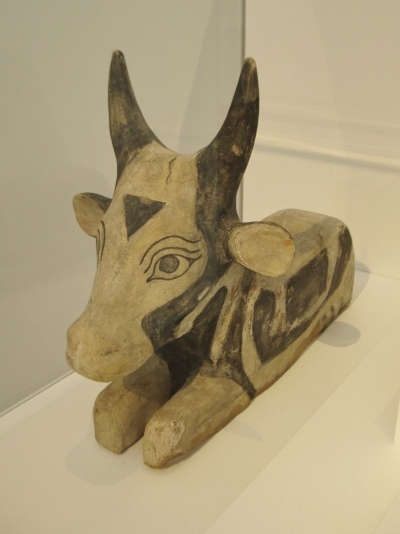 Egyptian reclining bull. Wood with gesso and paint. Said to be from North Saqqara. 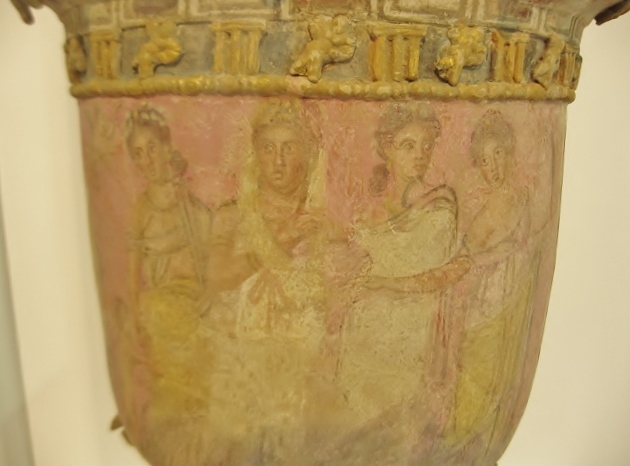 Ptolemaic Period, 305-30 BC. 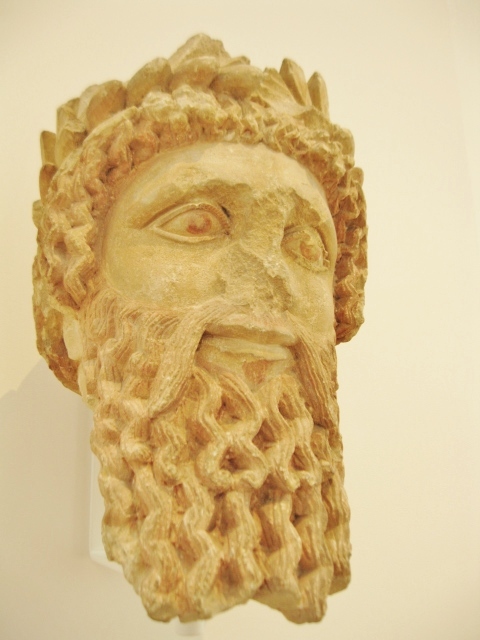 Head of a god or priest, Cyprus, 450-425 BC, limestone with traces of pigment. 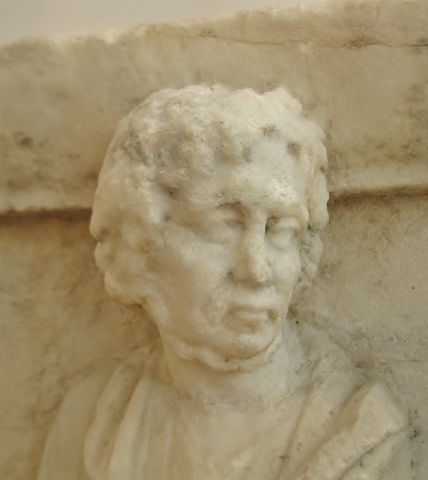 Note the mix of archaic Greek and more naturalistic style in this object, which may represent a temple priest or a temple donor who commissioned the statue. 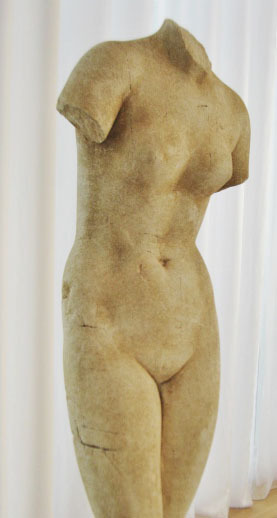 Torso of Aphrodite, Hellenistic Greek, about 60 BC, white Parian marble. 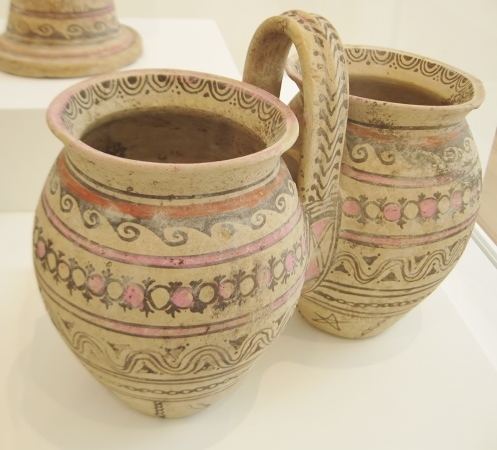 Double jar with a central handle, Late Daunian Period, 4th-3rd Century BC, from a Canosan workshop, South Italy. Pottery with added pigment. Detail from a large “Lebes Gamikos” or funerary vase from Centuripe, a Greek colony in Sicily, 250-225 BC, ceramic with paint and gilding. The central panel depicts a bride flanked by attendants with small applied Erotes flying above. 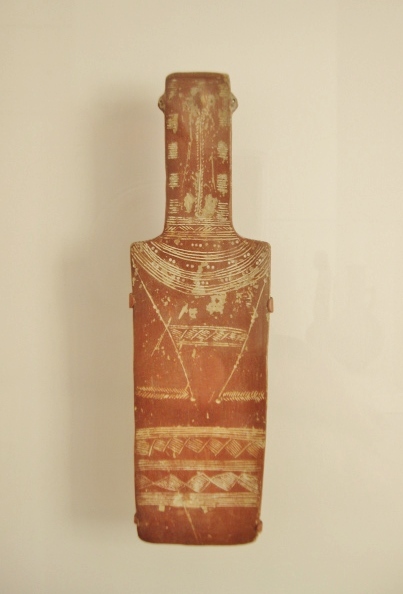 A “Hydria” or vessel for pouring water, 3rd Century BC, Egypt, pottery with buff slip and added paint. 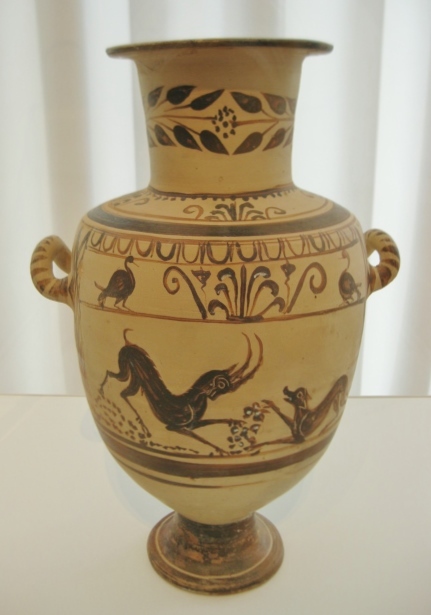 This vase shows something of the unique fusion of Egyptian and Greek art during the Ptolemaic period. 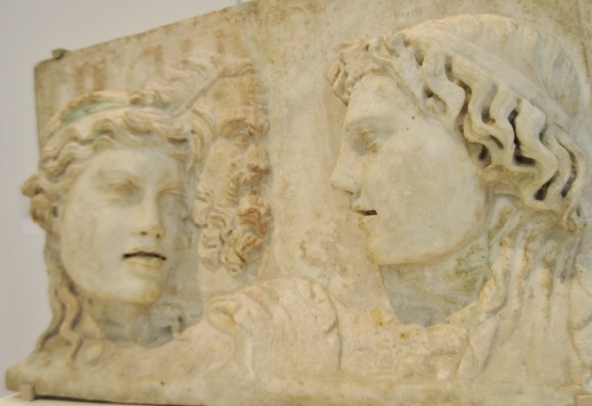 Roman decorative relief, late 1st Century BC or early 1st Century AD, marble. 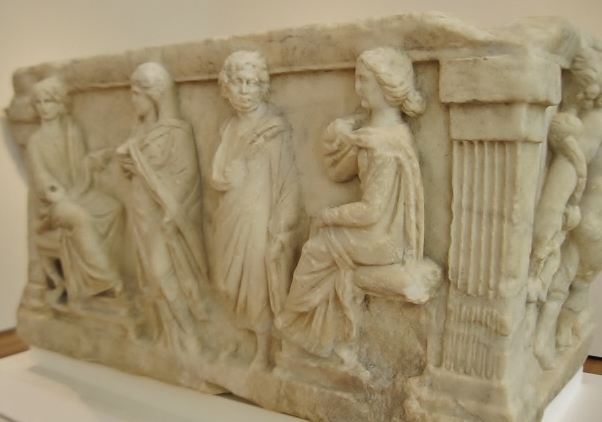 A Roman bone box for holding the cremated remains of the deceased, represented by one or both of the standing couple on the main panel, flanked by seated women. 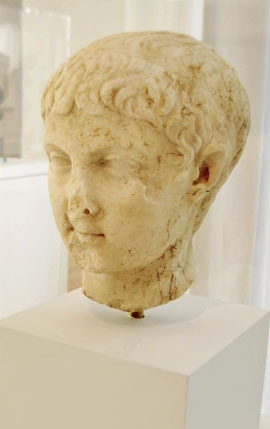 Marble, 2nd Century AD. The deceased couple have chosen to have themselves depicted as a philosopher and a muse. Detail from the Roman bone box, showing the male half of the couple. 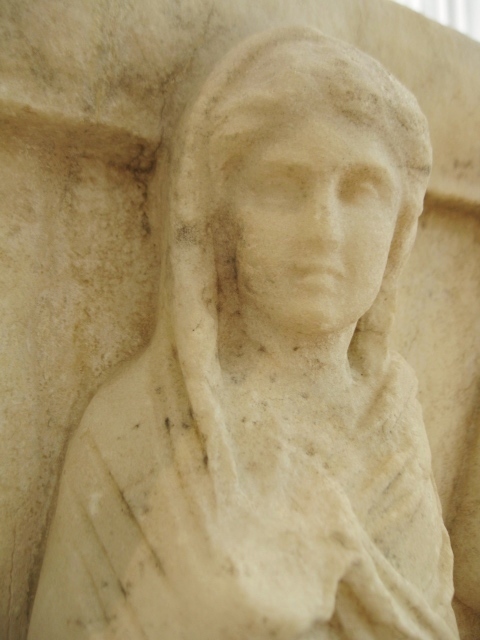 Detail from the Roman bone box, showing the female half of the central couple. 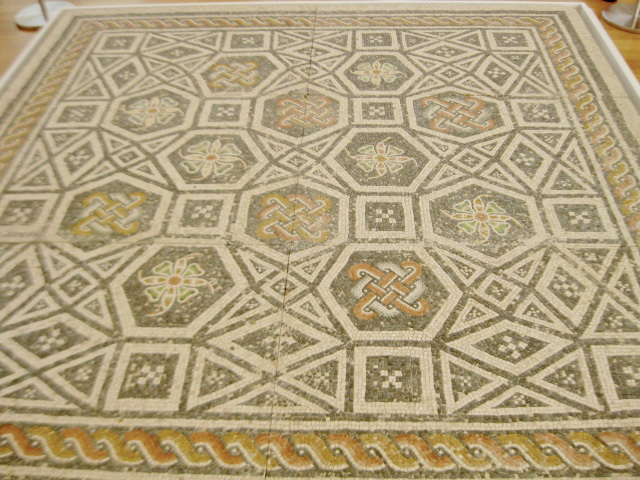 Roman mosaic floor panel of the 2nd Century AD, composed of various types of marble and glass. The design includes geometric and floral motives and an endless knot design, all enclosed in a braided border. 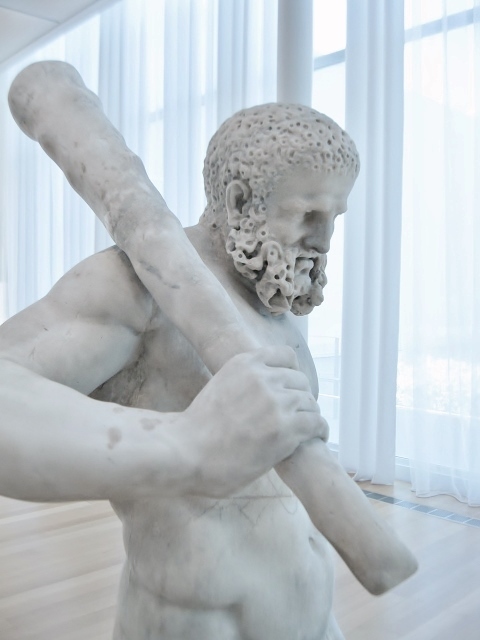 Roman marble statue of Herakles (Hercules) with his club. 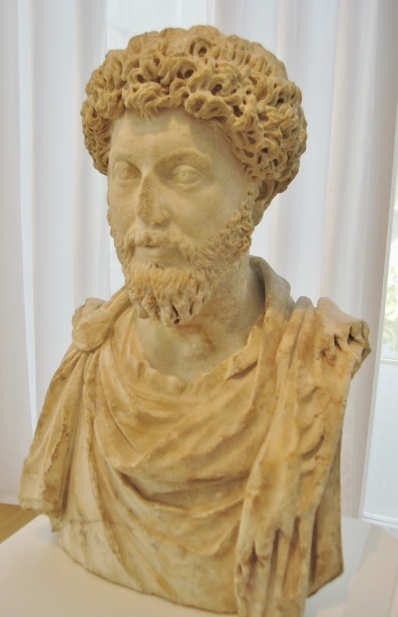 2nd Century AD.